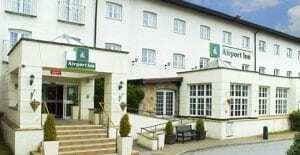 The Airport Inn, a Britannia Hotel, offers great value Manchester Airport park and fly packages as well as fantastic savings on Manchester airport hotels. 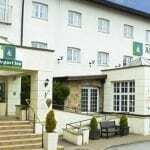 With a fantastic swimming pool, friendly restaurants and family rooms it is also a great hotel for those travelling with kids from Manchester airport. 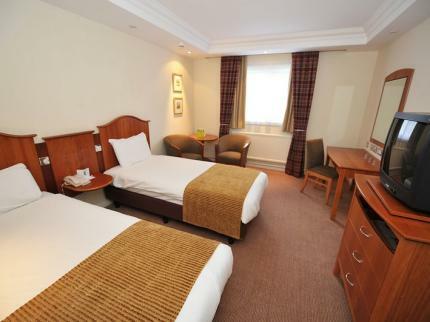 The Airport Inn Manchester has various room options including Double, Twin, Family or Lexx (Executive). There are also ground floor accessible rooms. 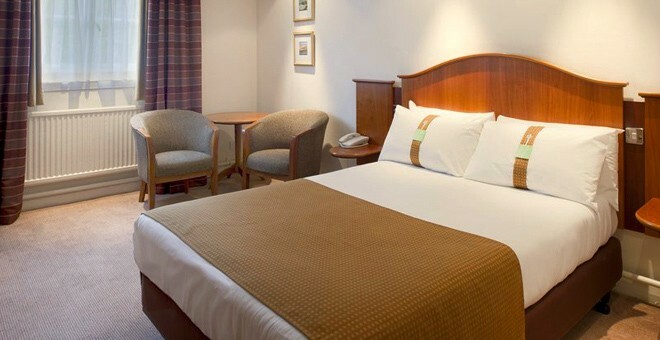 All rooms are En-suite and have comfortable beds, TV’s, tea and coffee facilities. 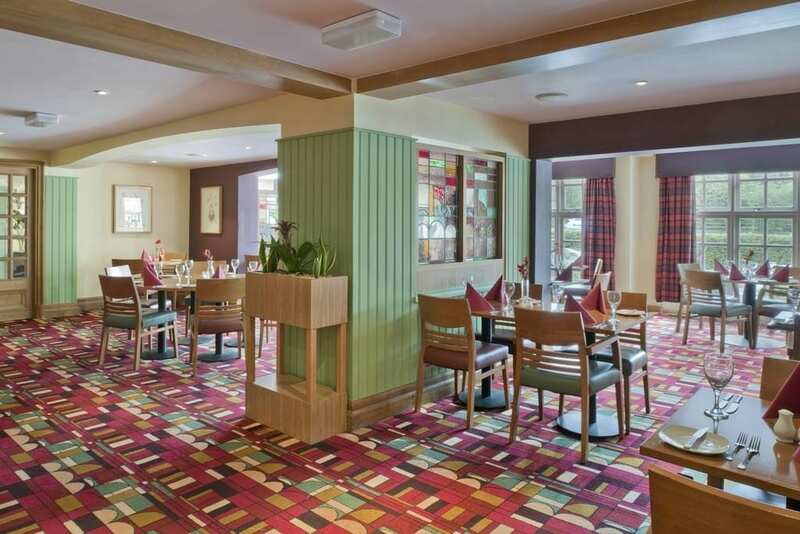 Breakfast is served in the Terrace restaurant where you can help yourself to an ‘all you can eat’ full English or continental buffet. Service is between 07.00 and 09.30 daily with the continental option available from 04.00 for those with early flights. 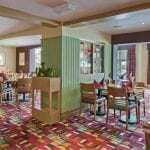 The Terrance restaurant is available for evening dinner between 06.00 and 21.00. Additionally the Terrace bar and Lounge offers both indoor and outdoor seating along with light snacks and meals. The Spindles Heath and Leisure Club at the Airport Hotel Manchester is a great place for you or your kids to let of steam before your flight. 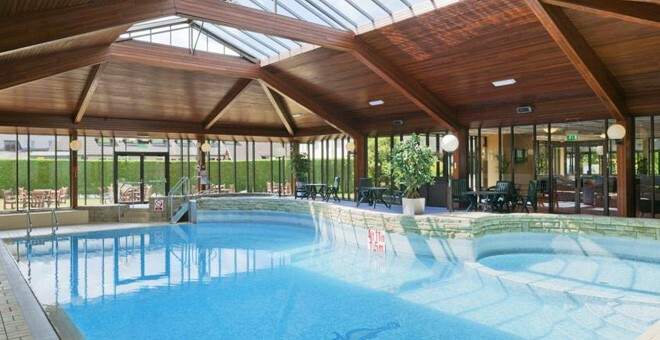 With a heated indoor pool, spa pool, sauna and fully equipped gym. Additionally you will find a squash court and a Pool table. Spa treatments are available at an extra cost. A number of Park and Fly packages are available with car parking on-site. The Airport Hotel is situated near Wilmslow to the south of Manchester airport and is easily accessible from the A538. The hotel is 3 miles from the terminals with transfers taking around 15 minutes. 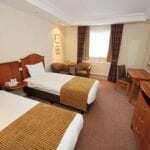 The hotel can arrange transfers at £6 per adult and £3 per child.